Mr. Teramoto has extensive knowledge and experience in patent prosecution, trials for invalidation, and suits against trial decisions. He specializes in metallurgy and inorganic chemistry. During his tenure at the JPO, he worked extensively on patent examinations and appeal examinations in the fields of metals, organic and inorganic materials, and electric machinery. 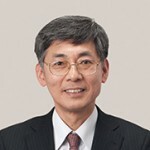 From 1998 to 2000, Mr. Teramoto was a Director of the Asia-Pacific Industrial Property Center of the Japan Institute of Invention and Innovation, and was involved in research on counterfeit activities both in Japan and overseas.